How can I see the Candidates assigned to me? Jobsoid has an easy and simple way of viewing the candidates. Instead of going through the entire list of candidates applying for various job positions, Jobsoid narrows down your search to a few candidates. This is done by assigning your team members as Hiring Managers to the job opening. The Hiring Managers will see the list of job openings assigned to them under the “My Jobs” tab on the Jobs list page. The candidates applying for the job openings will be shown under “My Candidates” tab on the Candidates list page. Click on Candidates on the top navigation bar. You will see the Candidates assigned to you under the " My Candidates" tab. 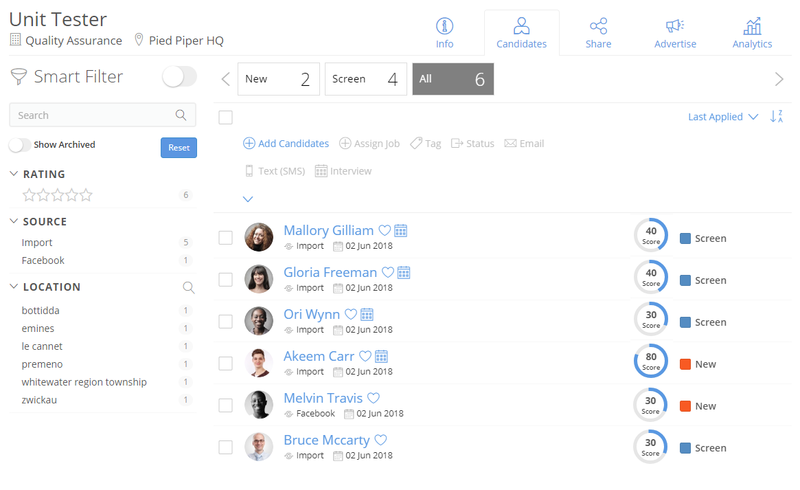 The Candidates will automatically appear in “My Candidates” tab as and when they apply for the job openings where you are the Hiring Manager. Click on Jobs on the top navigation bar. You will see a list of jobs under “ My Jobs” tab. Click on the job opening which will take you to the Job Details page. Under the Candidates tab, you will see a list of Candidates assigned to you. On the Job Details page, the Candidates will be shown to you as per their current status in your configured recruitment pipeline. For example: The Candidates in “Telephonic Interview” stage will be shown under “Telephonic Interview” section under the Candidates tab on the Job Details page. 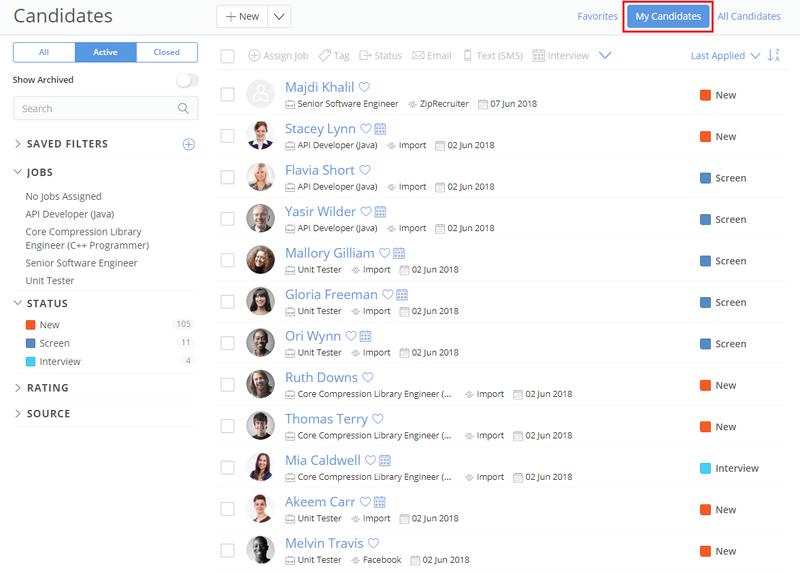 The team members who are assigned Hiring managers for certain stages of recruitment pipeline will see the Candidates under “My Candidates” tab only when they reach that particular stage.